When everything goes wrong, tradition tells us that a pair of scissors is a powerful talisman, that cuts bad luck. So, a pair of scissors could be worn as a jewel such as a pendant or a brooch. If it is worn as a bracelet, a woman should wear it on the left hand and a man on the right. 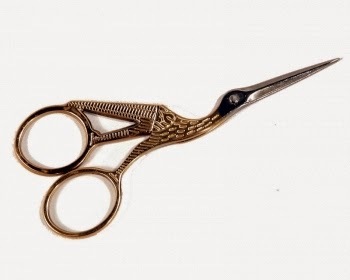 Like many other symbols the scissors can have both meanings, cutting luck or cutting bad luck. It is what it is representing to you that matters. Nevertheless, never offer a pair of scissors to somebody without a contribution, even a very small one, because as for with any cutting object, they would otherwise bring bad luck.